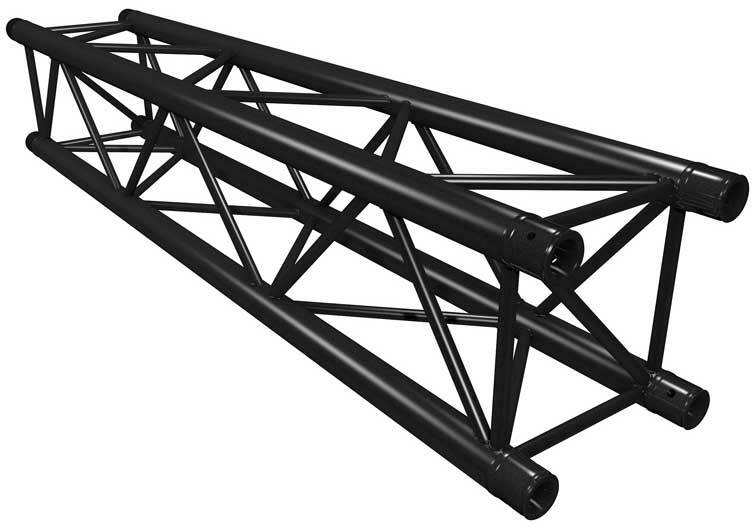 Black 50mm quad trussing featuring TUV Certified aluminium welding and 3mm wall thickness for a superb load handling capacity. A full range of lengths, base plates, corners, connectors and couplers are available, making them ideal for fixed installation, shop fittings and rental applications. Conical connectors with pins and R clips are provided with each piece for quick assembly.